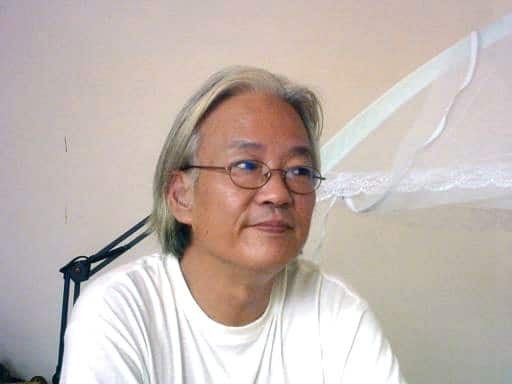 2 Exclusive interview with Chinese poet Duo Duo (多多, 1951 – ), a prominent exponent of the Chinese Misty Poets (朦胧诗). Exclusive interview with Chinese poet Duo Duo (多多, 1951 – ), a prominent exponent of the Chinese Misty Poets (朦胧诗). Genzi affirms that every teenager is a poet, do you believe that every poet could be an eternal teenager? In your verses, silence is often an important matter, how did you conceive it, how do you conceive it? Oh, silence…I think that silence now is more important than before: I’m growing old. Silence means inner harmony, you believe in something, you have faith and you gain energy, health. But silence is very difficult to obtain, to…I think that poetry is not just writing, there is something beyond it, so for me it’s religion, and I think I am a believer. Do you think that poetry could have an auto-psychanalitic function? The Inner, in my opinion, isn’t only psychology, in the freudian way. I prefer Jung; for me Inner is totality, body, mind and soul, all together. When you are able to link them all together then you obtain energy, and you can start writing. Did you ever more feel the desire of writing in classic chinese? You know: first, classic Chinese poetry has reached the top, nobody can climb the same mountain, find the same way; second, the difference between classic Chinese and modern Chinese is so deep that we are not allowed to use wenyan, contemporary poets can only use baihua. How much did Taoism, and Dao De Jing in particular, influence your personal formation? Did Zen influence your poetry? Not so much, but surely more than Taoism; I appreciated Zen; I think that it is important to read, but I think that even more important is to practise something by yourself. For example I practice Chinese meditation, which is quite the same; I’m following a different way to reach Zen. Actually I don’t really know what’s “Zen”, but I can affirm I know something.. In which period of your life have you felt most inspired? Many periods…but if I have to choose one, I choose the first Nineties. In that period I felt a great inner strength and I wasn’t able to control it; today I’m able. Today, in fact, I feel pacific, quiet, I’m not angry with the world, I’m not sad. And I think that sadness contains a huge energy, and when you draw your inspiration from that huge energy, you discover thousands of words that you want to communicate to someone, and when nobody can talk to you, you need to write. I think that sad moments purify hearth, and often in those moments you discover that you need to believe in God. As I said before, there were many periods of deep inspiration, for example the early years: I was so excited, it was magic, and when I read my own poems, I asked who did write them. I’ve never dreamt, I’ve never thought, I’ve never tried to be a poet. When, later, they called me “poet”, I felt obliged to write, I must write some new poems, and I thought: “oh no, I’m forty, I’m fifty, I’m at the end of my career!”, this is the worst thing, the creativity castration. And then I told to myself: “ you’re nothing, you are a man, you are only a man, a man who’s growing old, but it doesn’t matter” and something returned to me. In these last years, I’m living a new creative period, I’m growing; in the past I was victim of a deep pressure, now it’s ok. This year was a great year: from Europe I came back to China, I speak my mother-language, and everything is smoother, faster, I achieve more information. But I still think that in moments of sadness, you reach the point, you touch remote deepness. In which season of the year you feel more inspired? It usually was autumn, but now it’s spring, do you know why? Just because I’m growing old. In North Europe the weather is really cold, I tried to work all winter long without great results; when spring arrived, I felt new energy coming and I restarted to write. Here in Hainan Island, it’s always spring, every day; it’s different, very different. Do you believe that the muse can come from something outside the person of the poet? I don’t believe I’ve got faith in the muse, I feel directly linked to God, without intermediaries. I haven’t ever thought about her; but if it is only another way to call the same thing, it doesn’t change anything: in my opinion, writing is a way to elevation, poetry actually is the daily exaltation of spirit. Sometimes I feel like a monk, it’s like a job for me, I need much time and loneliness, if inspiration does not come, I don’t force it, I stop and wait. When I was young I tried to force it, I drank and so on… it’s not the right way to obtain it, but actually I did it. I think that poetry is natural, harmonic, sober and bright; it isn’t language, spiritual elevation is the most important thing. I believe I did the same job for thirty years, sometimes I failed, sometimes I succeeded, but it doesn’t matter. When I was young, I always thought to be face to face with God, but this isn’t the appropriate sensation: if you face God, you can’t write; when you write, God Himself is inside you, you are God. But you have to wait, you have to be patient, relaxed, calm and quiet, you have to keep your thoughts in the Sublime and melt with it. I feel God, since when I was young; I don’t know exactly when I started to believe, maybe when I started to write, in that moment I met Him. Maybe because writing itself is a way to meet Him. What does the term “inspiration” mean? In that moment I’m very clear or somebody else is very clear, and that somebody else is me, however. I am many people. But is this it? Not only. I also feel something else, and it’s only the beginning. Years passed, and the faith became deeper, every day. Without faith I would be destroyed, by materialism, or by anything else. So I believe that the Inner, the deepest Inner, is important; writing poetry for me has always been a trip; while you are writing, you’re facing somebody, talking to somebody. I’ve never said I write verses to a hypothetical reader, or to someone in particular, never; I write to myself? I don’t believe so. And so, who I write to, who? T.S. Eliot affirms that there are three channels of communication: talking to someone else, talking to yourself or talking to God. I think that there is no doubt. But who is God? What kind of God? A Christian God or another kind of god, it doesn’t matter: It’s something higher, that’s all. I believe but I do not go to church, I like churches, but I don’t belong to them. Women were always important. Problems fundamentally found their true origin in women, always. For sure they have always had a big relevance in my life even if poems directly dedicated to women, love poems, are only a few. But the reason you write for is more important than writing itself. If you have strong reasons, then you can write. I got most of the reasons from troubles with women, even if I wrote about landscapes or nature or big problems of the world. I think that when you grow old you don’t appreciate so much to write love poems. I believe that problems between men and women are one of the innumerable faces of the struggle between Yin and Yang, which rules the universe; poetry saves you. I loved, I desired, I esteemed women but I also felt anger, rancour because of them, just like anyone. Every poem has its own biorhythm, every poem is different from the other ones. For each one there’s a beat, and you have to let yourself go with it. There is a music for every kind of writing. Anyway, I affirm that mine is the way of the singer, I’m not a pianist, I tried, but basically I am a singer, a classic singer, I hate microphone, I love tenors. Your early poems are nocturnal poems; is it night the most inspiring moment for you? Good question; I used to work in the middle of the night, I was totally alone, time seemed slower, there was silence, peace, stillness, and writing got deeper. But now I work in the morning, I have changed, everything has changed. After 45, if I work at night I lose energy, I feel tired when I wake up. But morning writing is different, the day is less passionate than the night. In the morning I collect ideas, but evening is still the moment of creation. The marriage between earth and sky is a source of inspiration for you, how do you feel it? I’ve never thought about a real marriage between sky and earth. I think that cloudy sky inspires me most, when the wind fast carries clouds along it. Clouds mean freedom, travels. I can see many things in the clouds, since when I was a child I stared long time watching clouds changing shapes. About earth, I’m Chinese you know, Chinese people, just like German people, love earth, they come from generations of peasants, we naturally adore earth. How do you see the future of Chinese poetry? World future has not guaranties, nobody knows anything. I am worried about materialism, capitalism, pop culture, they are killing poetry. I don’t mean pop culture is totally bad, there’s something good, something you can appreciate, but I try to keep alive poetry history, this is the reason why I teach, I try to transmit my experience to students, to new generations, I’m trying to do my best. Which natural element would you compare you poetry to? Clouds. It isn’t fire, it isn’t water, it isn’t wood, it isn’t metal, it isn’t air. It’s a cloud.